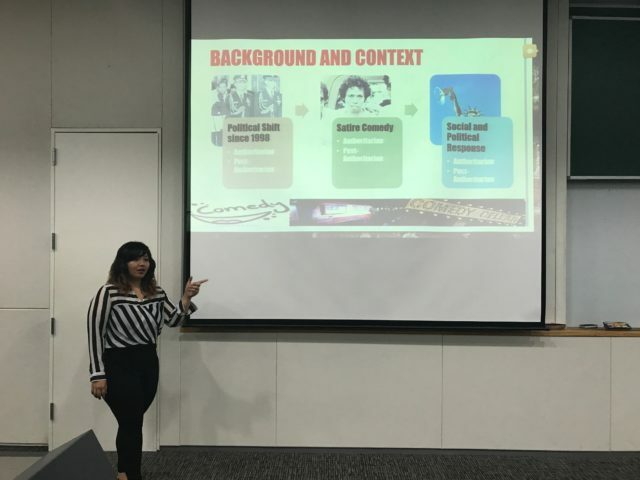 Deputy Head of International Relations Department, Ratu Ayu Asih Kusuma Putri, presented a paper with topic on satire comedy and Indonesian politics at the Association for Asian Studies (AAS)-in-Asia Conference in Seoul, South Korea, from 24-27 June 2017. The paper is co-authored with Geradi Yudhistira from the Indonesia Islamic University, Yogyakarta. 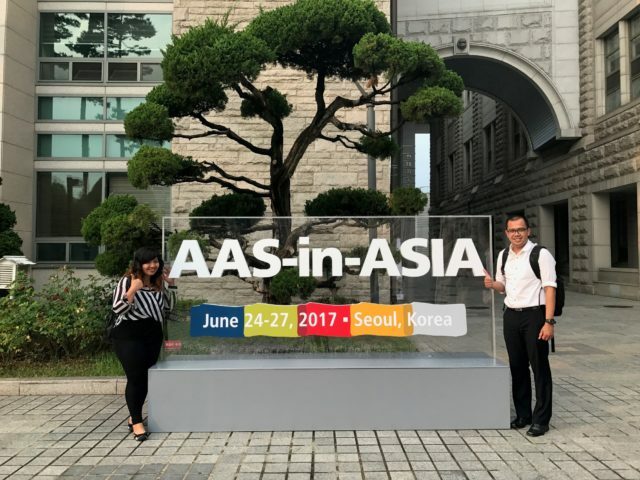 AAS-in-Asia Conference 2017 convenes a wide range of scholarly disciplines and professional fields under the theme: “Asia in Motion: Beyond Borders and Boundaries.” The conference gathered scholars throughout the field of Asian studies with the main goals are to foster lines of dialogue and scholarly communication that cross the ordinary boundaries of academic networks. Aside from being an annual event of the most substantial association for the study of Asia, AAS-in-Asia provides its members with unique and invaluable professional networks and discussions.